Amazon.com: The Creation of Art: New Essays in Philosophical Aesthetics (9780521812344): Berys Gaut, Paisley Livingston: Books. 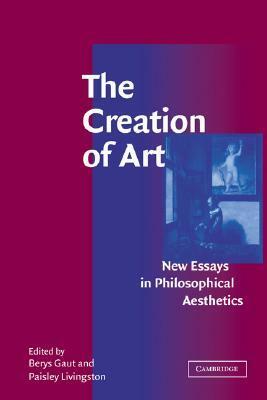 The creation of art : new essays in philosophical aesthetics / edited by Berys Gaut,. Paisley Livingston. p. cm. Includes bibliographical references and index. isbn 0-521-81234-8. 1. Art – Philosophy. 2. Creation (Literary, artistic, etc.) 3. Aesthetics. i. Gaut, Berys Nigel. ii. Livingston, Paisley, 1951– n71 .c754 2002. 700 .1–dc21.